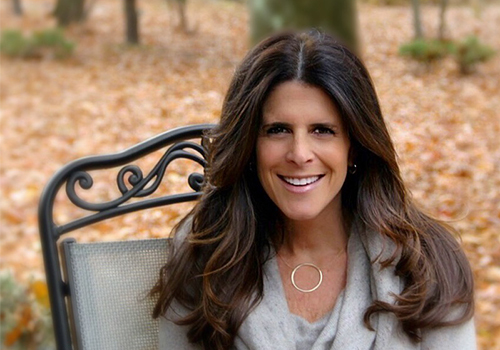 In her role as Head of Brand Partnership Sales, Lori Cohn spends her time developing Barnes & Noble College’s partnerships with major brands, designing the kinds of authentic promotions students value, interact with and respond to. In the thick of Rush, a key time for brand partners to reach out to students, we took five minutes with Lori to discuss why she considers each brand’s story to be unique, her passion for mentoring students with their career goals, and why her favorite book is about an act of kindness. My first real job was waitressing during successive summers growing up in Newport, Rhode Island. I honestly think it’s a job everyone should experience at some point because it’s a great opportunity to really fine tune your interpersonal skills. Why Barnes & Noble College? What really drew me to this new role is that our college audience is pretty much on every brand’s radar. We can offer this amazing reach and access to that market—and the partnership possibilities are endless. Through our various platforms, our stores can provide the opportunities to reach not only students, but parents and alumni—and we touch all the different audiences in a very engaging and authentic way. How do you describe your current role at Barnes & Noble College? I help new and existing partners, both brands that are sold in our stores, as well as those that are not, gain access to our college audience. We do that by designing highly targeted, integrated programs. Each brand has a unique proposition and value it can present to our students, so we design highly customized promotions—no two programs are ever the same. Right now we’re seeing the incredible results from so many of the programs we’ve put in place for Rush, but we’re already looking ahead to help our brand partners uniquely connect at so many other key points of the student journey, such as De-Stress Events around finals, Homecoming, Parents’ Weekends and even Graduation. In your view, what’s the biggest challenge facing brands today? The obvious challenge for our brand partners is the shortened attention spans of their consumers. In an era of ad-blocking and bite-sized content, it’s becoming even more important for brands to be in front of their customers—at the right time, and with the right message—and that’s exactly what we deliver through all of our channels. What’s the main value Barnes & Noble College offers to its brand partners? Our ability to consistently deliver the kinds of high quality experiences that can educate and engage students—through posts on our student blog, The College Juice, campus events and product samplings in our stores, or through web ads and dedicated emails with special offers. The responses generated are always overwhelming! We look at ourselves as being the complete academic and social support system for our students throughout their college journey, and there’s a unique connection opportunity for our brand partners in the trust we can deliver that’s such an important part of that relationship. 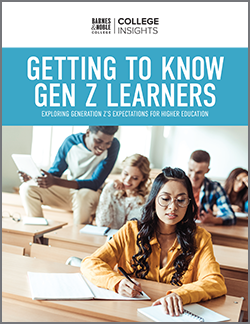 What does your experience tell you, particularly about our young demographic, that students are looking for in their interaction with brands? I think that today’s generation of students is savvier than ever and they really expect brands to consistently deliver— immediately and authentically—on the kind of quality they’re looking for. If you look at social media channels like Snapchat, they have allowed this generation to be creative and express themselves while, at the same time, interacting with both their “friends” network and the brands they’re championing. The bar has been raised as far as their expectations for service by companies like Zappos and Uber, and that expectation is supported by the kind of participation and engagement you’ll see in their reviews and comments. They want to be heard, and would prefer a brand that listens to their feedback versus one they feel they can’t approach. 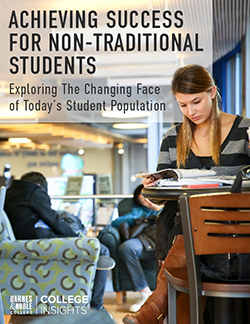 Where do you think the biggest opportunity lies for Barnes & Noble College for the future? I think the digital landscape holds the biggest promise for the future. We’re a media channel that reaches over 5 million students, and our email open and click-through rates are unrivaled in the marketplace. We’re going to continue to develop our social and digital outreach alongside our learning platforms, and that will benefit both our students and brand partners. I’d be a career coach for college students, helping them prepare for their future careers and supporting their aspirations. I love working with and helping others. It’s always been a tremendous passion of mine. Favorite part of the store? Definitely the café as I’m a Starbucks junkie—but with the huge athleisure trend we’re featuring in so many of our stores, you’d also be sure to find me in apparel, too. You really can’t have too many pieces of comfy clothing! What’s a characteristic you find most prevalent in Barnes & Noble College people? It’s an incredibly unique culture because, as a company, we’re all about people. It’s collaborative and it really does feel like family—and that’s a very different and unique thing compared to many companies. My favorite book is An Invisible Thread by Laura Schroff and Alex Tresniowski. The premise of the book is about how one woman’s kindness had such a ripple effect, and how genuine friendship can act to support amazing success. I think it’s a must read for anyone. Most valuable thing you’ve learned at Barnes & Noble College? The company motto of ‘Together We’ is what inspires me on a daily basis. Together we can achieve anything, and that’s exactly what my team here has shown me from day one. Best day at Barnes & Noble College? The Trade Show at the Annual Meeting has been my favorite event to date. It really brought everything together for me and brought to life the amazing branding proposition we offer to our partners.